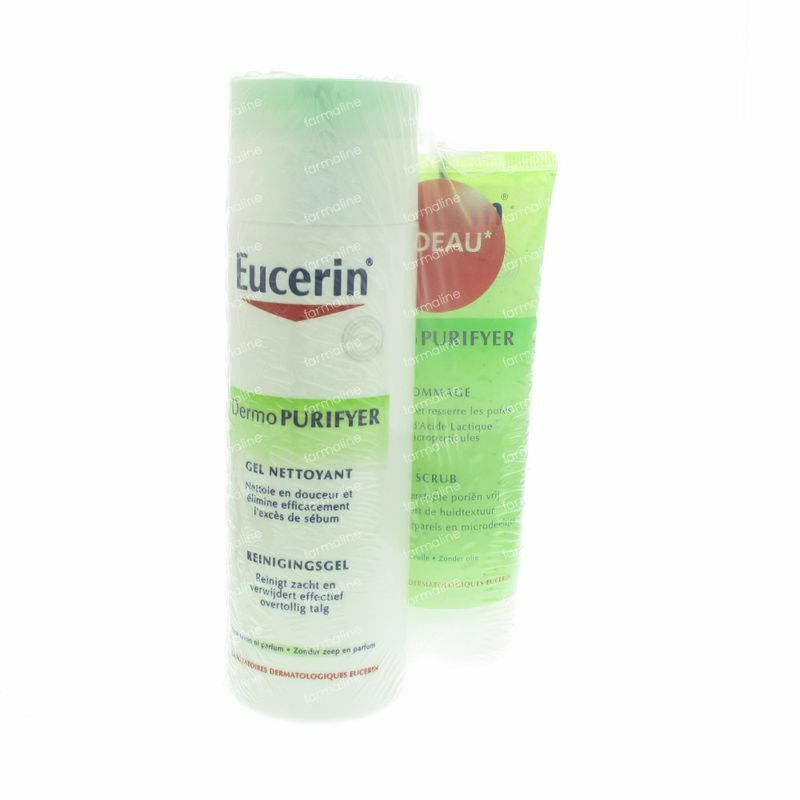 Eucerin Dermo Purifyer Cleansing Gel + Free Scrub 1 item order online. Eucerin DermoPURIFYER Cleansing Gel is able to cleanse my skin without causing any tight sensation after cleansing. The cleanser is transparent in colour and it has a watery gel texture. Because it is soap-free, it doesn’t foam up (but instead turns milky) after lathering. The cleanser has a slight medicated scent and can be cleanse off easily without much rubbing. Suitable for all skin types, this non-comedogenic scrub is mild enough to be used on a daily basis… The Eucerin DermoPURIFYER Scrub contains pores refining micro particles and Lactic acid beads to deep cleanse, removes blackheads and refine pores. Gentle on skin, it effectively unclog pores and refines skin texture while reducing blackheads and blemishes. Overtime blackheads are reduced and skin is more refined and clearer. Apply to hands and work into a lather. Gently massage face and other affected areas. Rinse thoroughly. Use regularly morning and evening followed by Eucerin Clarifying Facial Tonic. Wet area to be washed with warm water. Apply to hands and work into a lather. Gently massage face and other affected areas, avoiding eye area. Rinse thoroughly. Use regularly morning or evening followed by Eucerin Clarifying Facial Tonic. Ingredients: Aqua, Sodium Cocoamphoacetate, Propylene Glycol, Sodium Laureth Sulphate, Citric Acid, Sodium Benzoate, Salicylic Acid, Sodium Chloride.